Arcangelo F. Liberatore with his children, son Arcangelo “Nico” and daughter Annabelle. 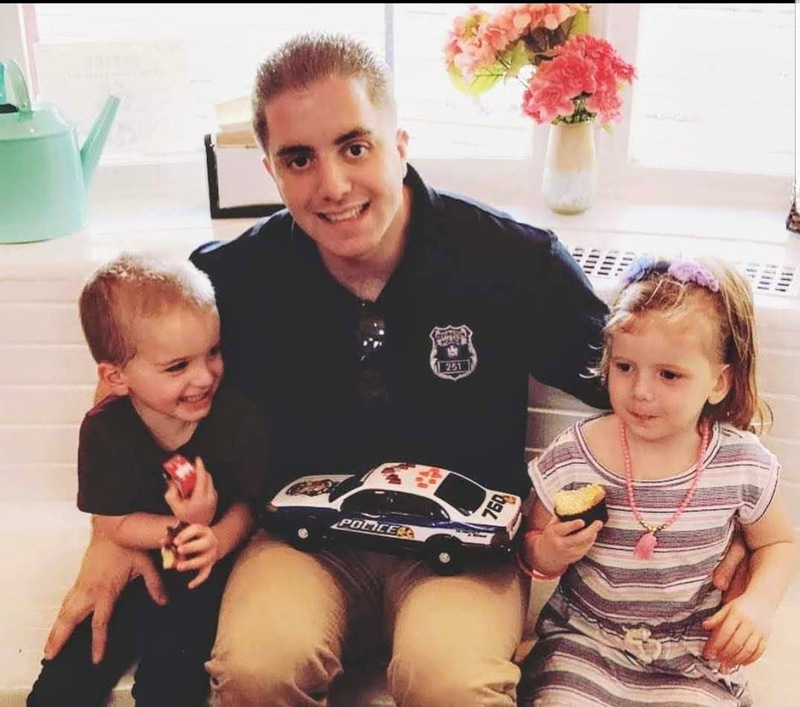 Off-duty police officer Arcangelo F. Liberatore, 31, rescued a 5-year-old girl from an attacking coyote on April 29, 2018, in Thornwood, N.Y. Natalia K. Petrellese was playing in a park with her brother and mother when a rabid coyote approached them and bit Natalia’s arm, latching onto it. The coyote dragged Natalia to the ground, where her mother attempted to fight it off. Liberatore was at the playground with his family when he heard screams. He ran to Natalia, grabbed the coyote, and pinned it to the ground. It released Natalia, whose mother took her to safety. Liberatore struggled to restrain the aggressive coyote, which attempted to bite him for several minutes. Police arrived and shot and killed the coyote. A bite wound to Natalia’s arm required sutures. Liberatore sustained scratches to his hand. Both of them were treated for rabies and recovered.